February 1939. 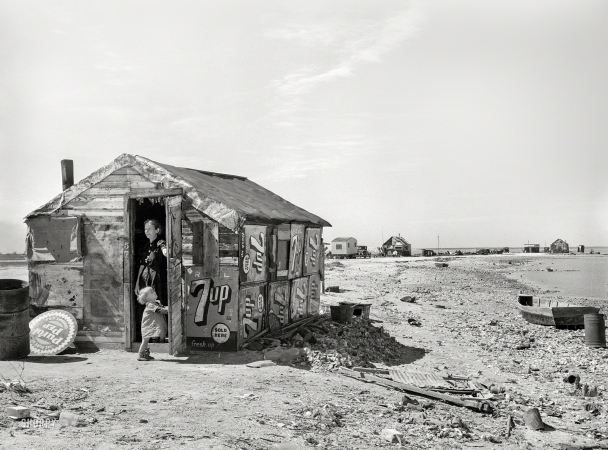 "Shack of war veteran with view along Nueces Bay. Corpus Christi, Texas."